Check out the new OaklandRecycles.com! 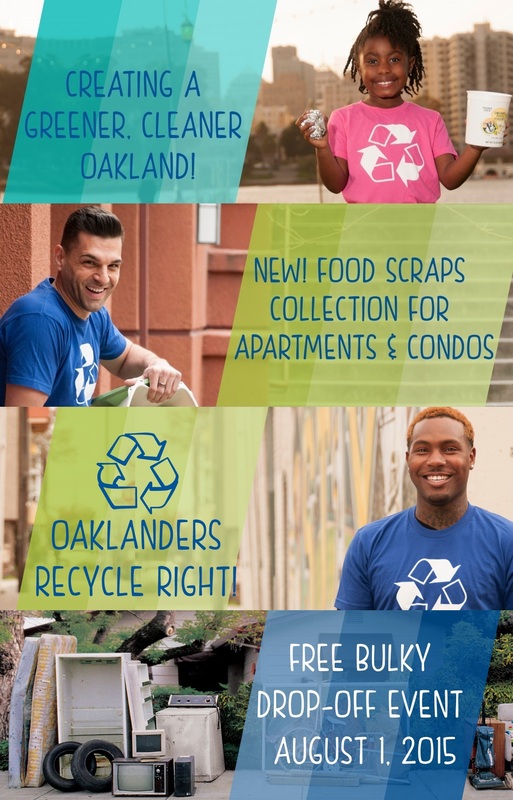 Visit OaklandRecycles.com to: pay your bill, request new service or make changes to existing service, find out what goes where, get a program brochure or property manager toolkit, learn about upcoming events, or contact Customer Service. Stay on this site for: new services overview (for residents and for businesses), frequently asked questions (for residents and for businesses), Construction & Demolition recycling, Fats, Oils & Grease, the history of procurement of zero waste services in Oakland, and our Recycling Program homepage. Place curbside on service day. * Thank you for removing all stands and decorations. Your clean Holiday tree will be composted and returned to the soil as an amendment. After January 12, 2017: Cut trees to fit into your compost container for regular weekly collection. *For buildings over 100 units: Building or Property Managers, please call Waste Management at 510-613-8710 to determine the best method of collection and to schedule service.